Concord, Massachusetts, 1849. At various times, three houses on the same road were home to Ralph Waldo Emerson, Henry and John Thoreau, Bronson Alcott and his daughter Louisa May, Nathanial Hawthorne, and Margaret Fuller. Among their friends and neighbors: Henry James, Emily Dickinson, Walt Whitman, Edgar Allen Poe, and others. These men and women are at the heart of American idealism. We may think of them as static daguerreotypes, but in fact, these men and women fell desperately in and out of love with each other, edited each other's work, discussed and debated ideas and theories all night long, and walked arm in arm under Concord's great elms-all of which creates a thrilling story. 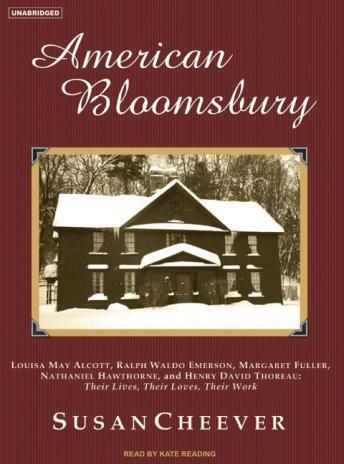 American Bloomsbury explores how, exactly, Concord developed into the first American community devoted to literature and original ideas-ideas that, to this day, define our beliefs about environmentalism and conservation, and about the glorious importance of the individual self.